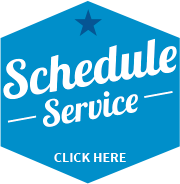 Accurate H2O Plumbing Offers Residents of Columbia and Lexington Comprehensive Plumbing Services Accurate H2O Plumbing serves Lexington, Columbia, and surrounding areas with comprehensive residential plumbing services. Since 2003, the team at Accurate H2O has been providing homeowners in and around Columbia with top-notch plumbing services paired with the highest level of experience and expertise and the best customer service available. No matter what kind of issues you’re having, the experts at Accurate H2O Plumbing can diagnose and solve all of your plumbing-related problems efficiently and effectively. From detecting and fixing leaks and upgrading and remodeling kitchens and bathrooms, to preventative maintenance. The Accurate H2O team does it all. Preventative maintenance is key in preventing problems before they start. Our trained technicians can assess the plumbing in your home and can point out any areas requiring improvements, maintenance or upgrades. Many plumbing clogs, leaks and related problems are not visible to the naked eye. Often these concealed problems are in pipes, located in the walls or underground. Our state-of-the-art cameras can find the location of the problem and can also determine whether the problem is a simple clog or something else, like tree roots growing into a pipe or breaks in the line. Once we positively identify the problem, we can correct those issues in a timely and efficient manner. So, whether you have a clogged toilet, sink or bathtub drain, our team is here to assist you. For all of your residential plumbing needs in Lexington and Columbia, contact Accurate H2O Plumbing today!